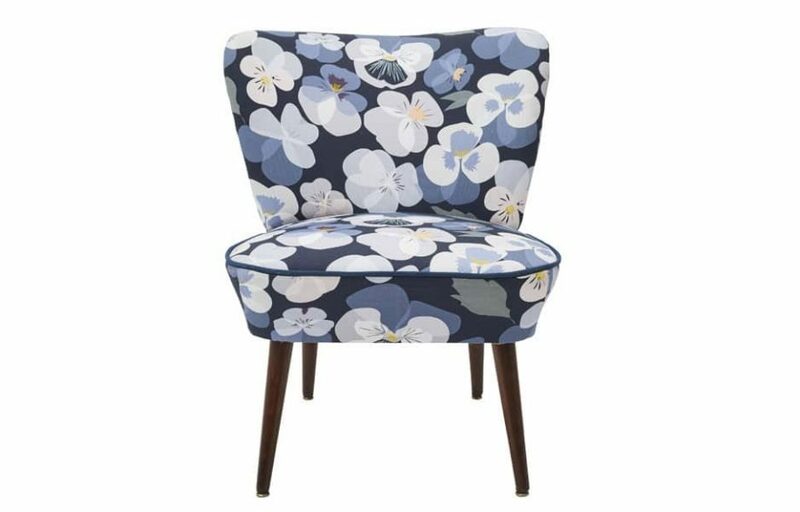 Original vintage cocktail chair up cycled with Pansy fabric. 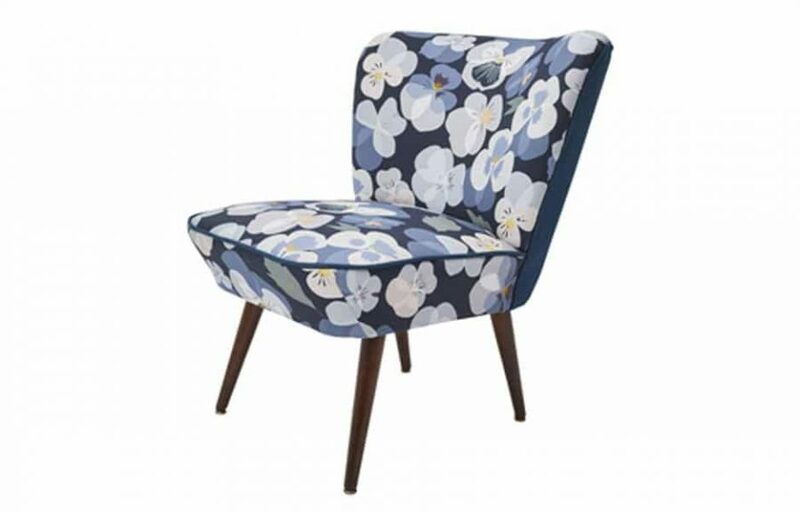 Each chair is an up cycled original 1950’s cocktail chair therefore sizes differ, but are all approximately 60cm wide & 70cm high. 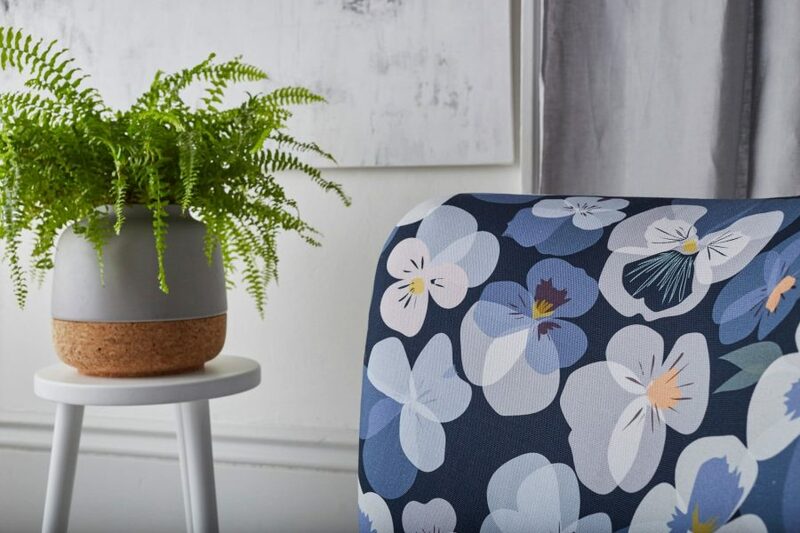 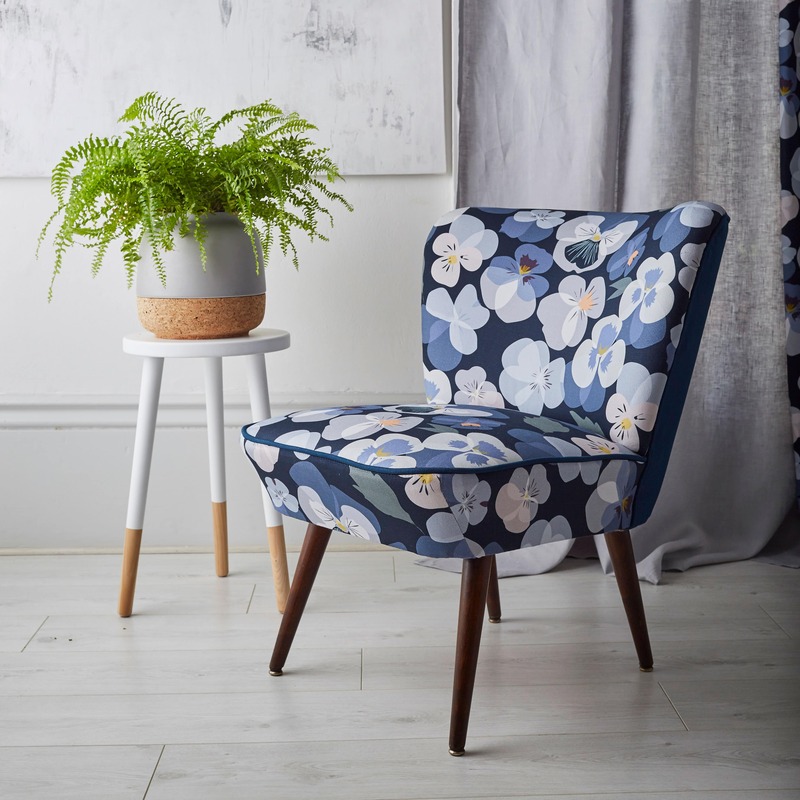 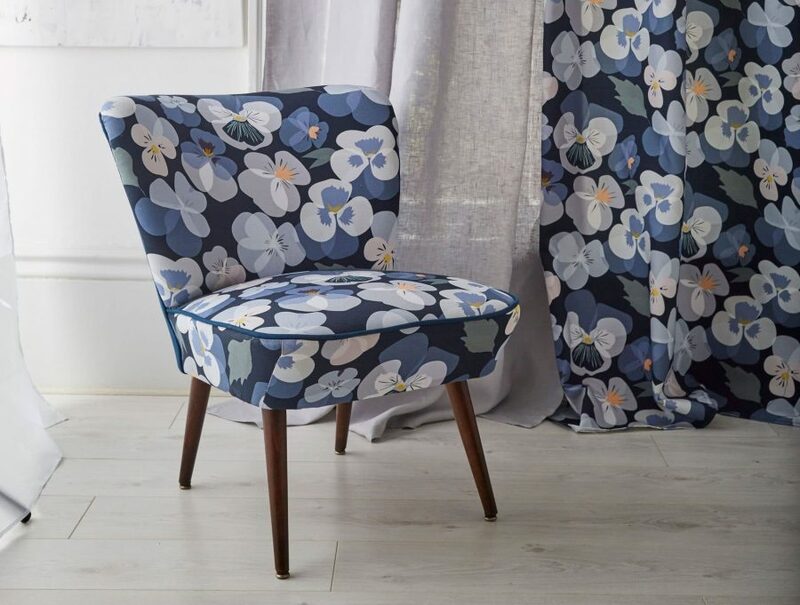 Chairs can be ordered in any of the Lorna Syson fabrics available for upholstery use. Your chair will be made to order in our British workshop, and will be delivered in 4-6 weeks. 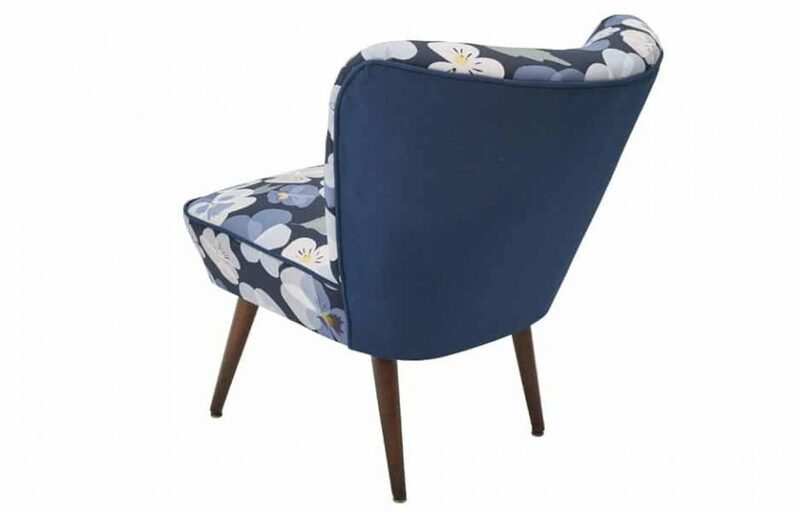 Please let us know when you order if you require a different piping, and any special design features such as the plain back on this chair.